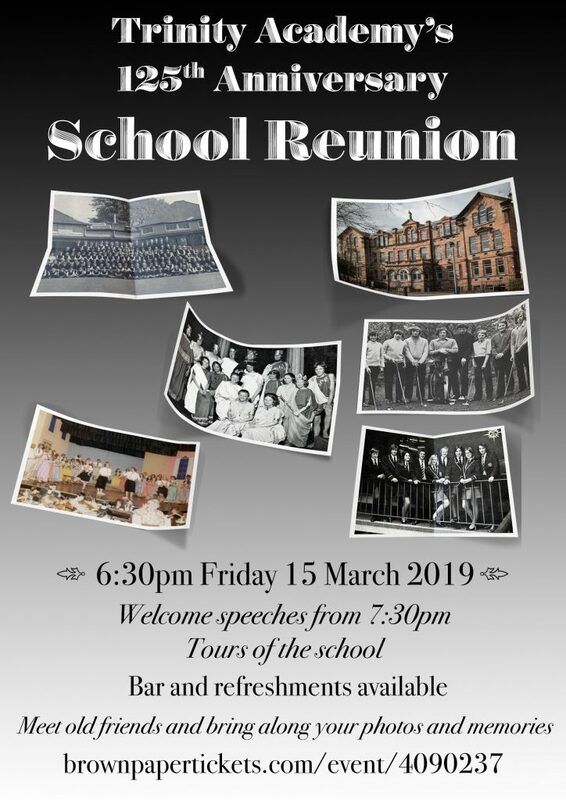 We are holding a school reunion for former pupils as part of our year celebrating the school’s 125th anniversary. It’s a rare opportunity to meet-up with old friends and teachers, tour the school and relax while enjoying refreshments from our bar. To give us an idea of numbers this is a free, but ticketed, event and tickets are available from Brown Paper Tickets. Edinburgh College, Skills Development Scotland and Developing the Young Workforce are co-hosting an information evening for parents of pupils from Schools in Edinburgh, East and Midlothian. This event will provide all the information you need to know about the new types of Apprenticeships and career pathways. Working Futures’ gives you the chance to find out more about these new career pathways and the opportunities they present. Hear from young people about the advantages of work based learning and their own experiences. Meet and chat with employers and university partners. There will also be the chance to get hands on with some of the practical aspects of the Foundation Apprenticeships. Visit their eventbrite page to learn more. 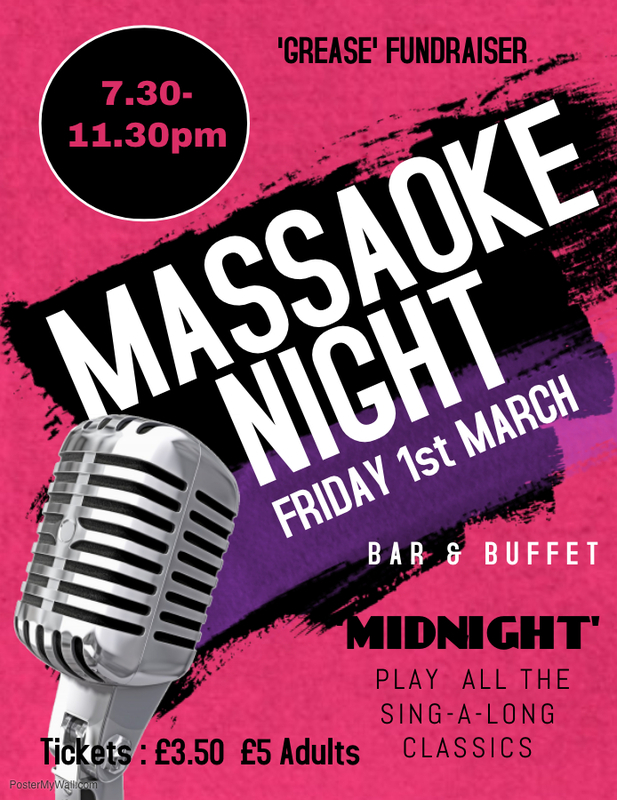 The school needs to raise money to put on the school show ‘Grease’ in June so there is a fundraising Massaoke. Ms Milne’s band will be playing, and the whole audience takes part, singing along. The Parent Council is running a bar for the event and it’s sure to be a fun night. Tickets are available from Ms Milne. Please support this event. 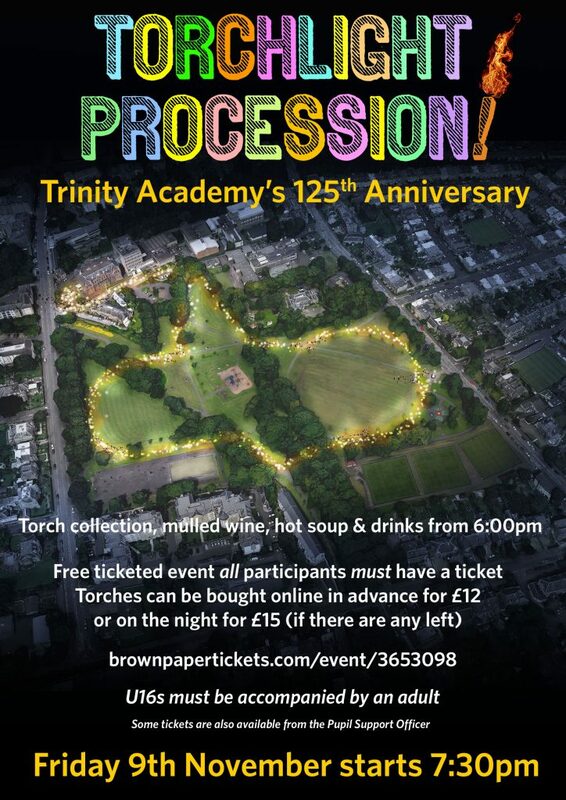 Our second event to celebrate the 125th Anniversary of Trinity Academy is a torchlight procession. The procession will start at the school, pass through Victoria Park and end back at the school. Pre-registration is essential for this free ticketed event. If you wish to carry a torch the Procession you can pay to buy a ticket pre-paid for a Torch. Torches are available for a special online price of £12.00. Please note torches will be priced at £15 on the night, subject to availability. There will be hot soup, mulled wine, hot dogs and other refreshments available at the school before and after the event. Torches are available from 6pm and the procession will start at 7.30pm. All Children under 16 must be Accompanied by an Adult. Tickets are available from Brown Paper Tickets. Thank you to everyone who came along to our party to celebrate the school’s 125th anniversary. It was fantastic to see so many people from the school and local community enjoying the evening. Trinity Academicals and Trinity Academy are holding their annual Fun Day on Saturday 1st September. There will be rugby and hockey coaching sessions in the morning and surprise sporting stars will be attending to coach, meet and greet. This is always a great local event. 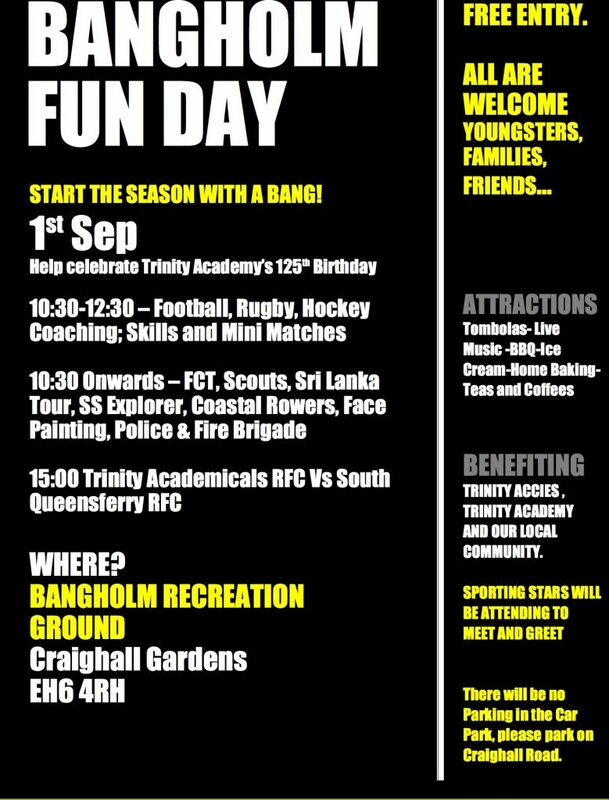 Come along and support the school, the rugby club and local community groups. Donations of prizes for the Tombola are very welcome. They can be handed in to the school office or brought along on the day. Looking forward to seeing you there. 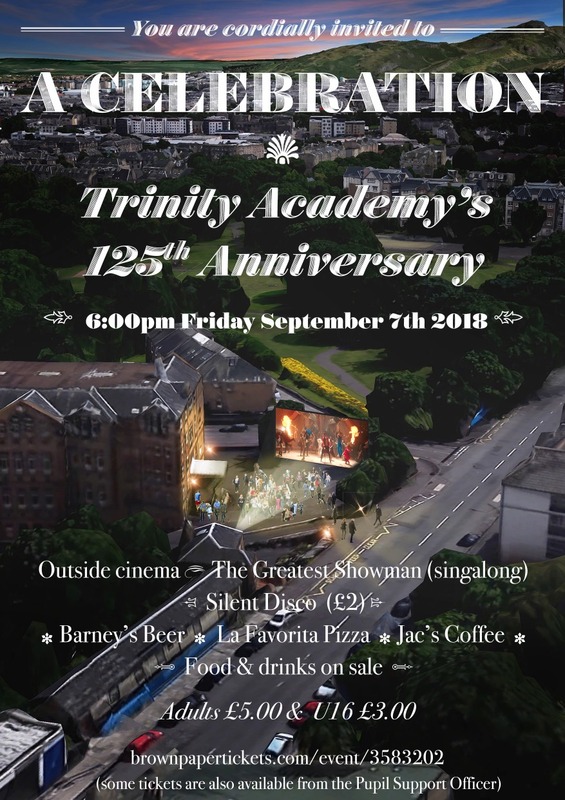 Trinity Academy is 125 Years old on 4th September 2018. We are planning a year-long celebration and this is the first event. 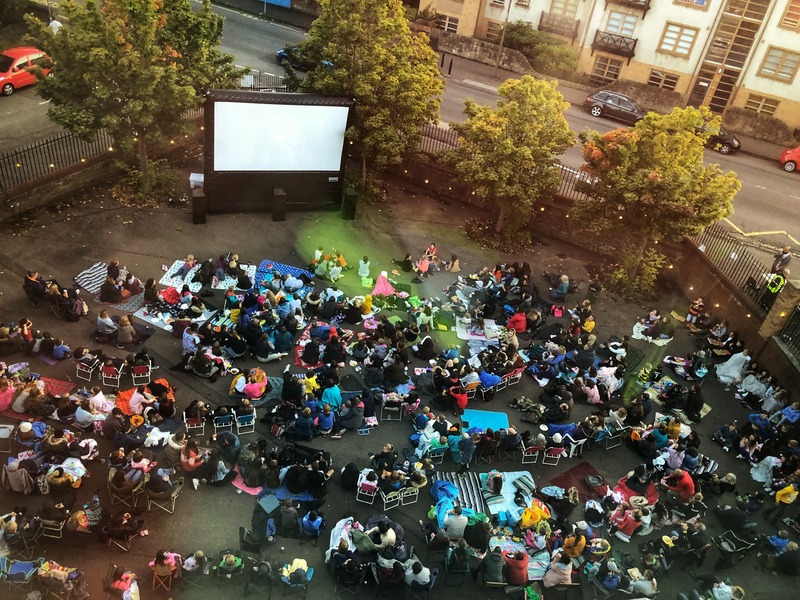 We are showing an outdoor screening of The Greatest Showman (singalong version, in case you want to join in). For an extra £2 you can also join in our silent disco too! This is a community event, so former pupils and members of our local community are welcome to come along. We will have the La Favorita pizza chariot, Barney’s Beer, plus JAC’s coffee van from Victoria Park and food and wine on sale. The doors will open at 6:00pm and the film will start at 7.30pm, so there’s plenty of time to have some food before the show starts. Book through Brown Paper Tickets. Come along to our party! A great way to start our year of celebrating 125 years of Trinity Academy and looking forward to its future. Our next fundraising event is a Burns Supper which is a joint event with Trinity Academicals Rugby Club and takes place Saturday 20th January from 7:00pm. There will be a traditional meal of haggis followed by speeches, entertainment and, of course, a ceilidh. Tickets are £15 and are available by either emailing Suz Edwards or from Mrs Quayle in the English department. Tickets are limited to 120 and are anticipated to sell out quickly, so reserve yours early! Help to set up on Friday 19th 1.30pm to 4:00pm. Help from 5pm with last minute preparation. Volunteers on Sunday 21st from 10:00am to help clear up. People to help with the bar for an hour on the night. We also require 12 trifles that are big enough to serve 10 people. If you can help with any of these please email Suz.